Sake is a funny little conundrum. We all kind of know what sake is, and we’ve likely tried it a handful of times, but how do we tell what’s the good stuff, and how do we consistently order that? Lets start by looking at how sake is graded. 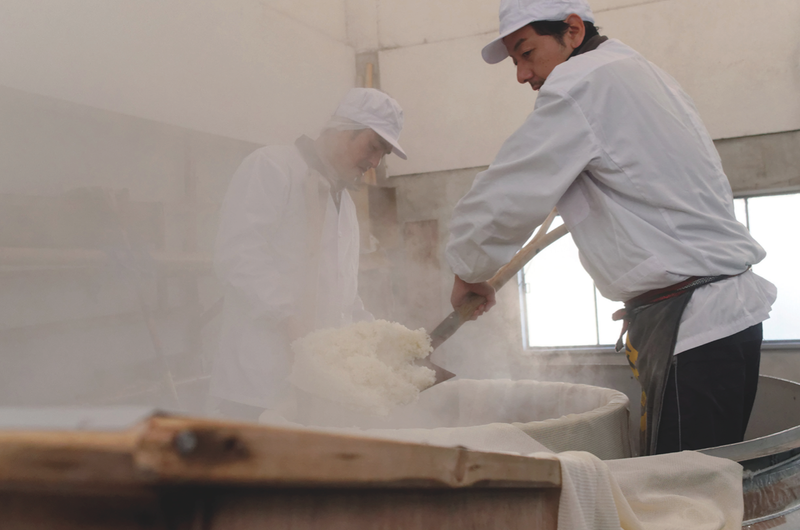 Sake is graded on a technical requirement, based on the polishing of the raw rice grain before brewing. Also known as the seimai buai, this is represented by a percentage, which stands for how much of the original rice grain is left. A lower percentage means that more of the rice has been polished off, and hence indicates a higher-grade end product. 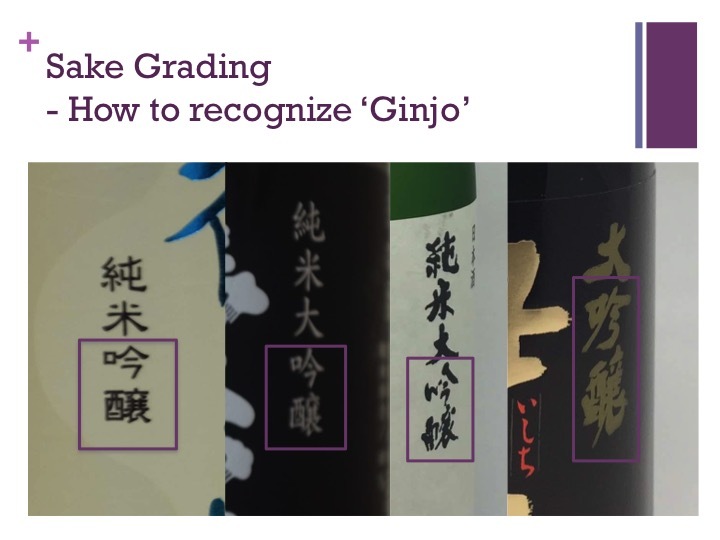 Entry into the Premium Sake category starts at a minimum of 70 per cent for Honjozo and Junmai grades, 60 per cent for Ginjo and Junmai Ginjo grades, and 50 per cent for Daiginjo and Junmai Daiginjo grades. 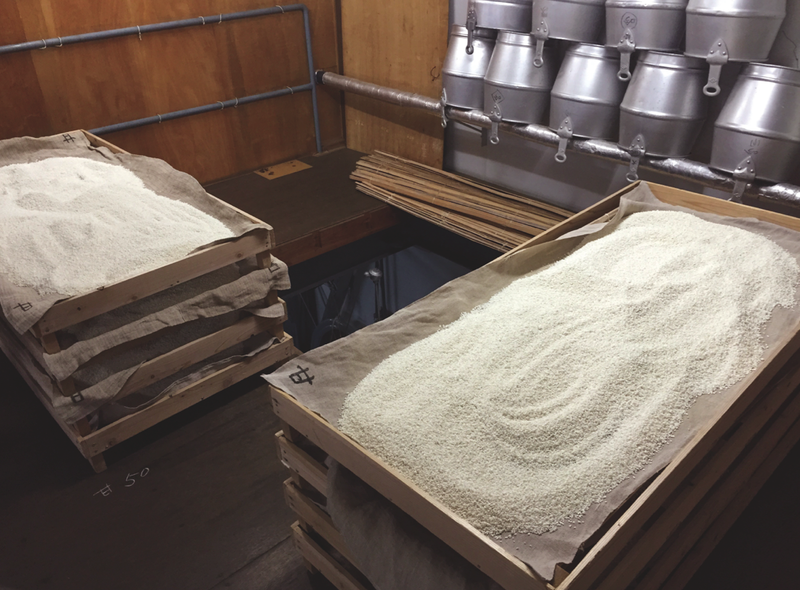 As the grade gets higher, the brewing process gets more exacting and tedious, requiring a higher degree of skill, and resulting in a more expensive bottle of sake. 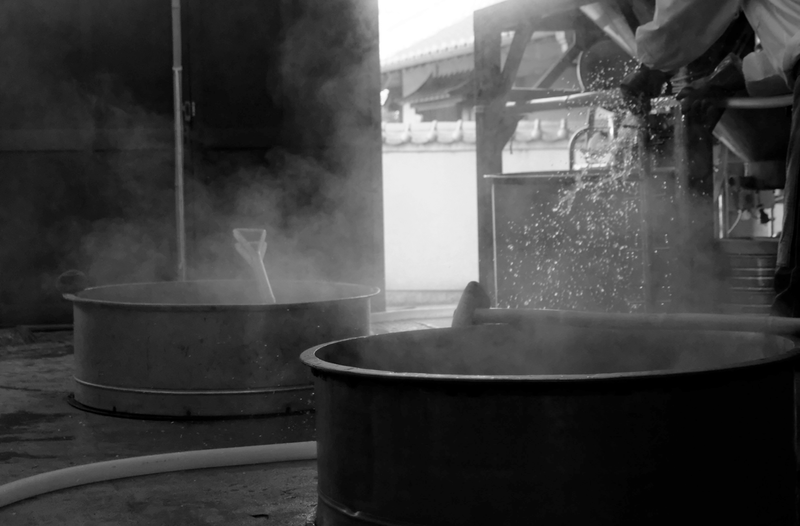 Concurrently, a lateral categorization across the top grades also exists, indicating whether or not the sake has any amount of distilled alcohol added as part of the brewing process. If the term ‘Junmai’ is used in the grade (e.g. Junmai Ginjo vs Ginjo,) it means no alcohol was added, and that all alcohol content is the result of natural fermentation. To clarify, there is no distinct ‘better’ in this case, and purists for both camps exist. To quote my sake sensei John Gauntner, if you can only remember one thing, remember Ginjo; if you see it anywhere on the bottle then you’re drinking the top grade sake. Of course, not all bottles bear an English translation of the Ginjo characters on them, so here’s how to recognize Ginjo in Japanese. And how do these grades affect flavor? In general, the higher grades give you lighter sakes with greater fragrance, detail and complexity. Lower grades are fuller in body with deeper flavor and more acidity. If the sake is a junmai, it tends to be heavier and fuller compared to its non-junmai counterpart. Of course there are exceptions to the rule, but this is a useful guideline. While traditional sake ware can be exotic and extremely fun, it is quite common today to serve sake in stemware. A white wine glass works very well, especially with the higher-grade Ginjo sakes. The wine glass allows the nose to collect and develop within the bulb, unlocking a tremendous amount of aromas. In high-grade sake, look out for aromas like melon, apple, cinnamon and even mushrooms. We generally also want to drink premium sake chilled or just a little under room temperature. This allows much of the delicate flavors to come through, and give more definition to the aroma notes. While hot sake is entirely enjoyable, the heat tends to overwhelm the detail and elegance that we look for in premium sake. Speaking of heat, sake is a somewhat delicate creature, and storing sake does require some care. Keep your sake in the wine chiller, ideally, or in a cool and dry cupboard. Stored well, the bottle will be good for 12-18 months and is generally fine up to five days after opening. Heat is the enemy, and the worst thing is to leave a beautiful bottle of sake in the car in anticipation of the next dinner party! Sake is meant to be drunk young, and does not particularly benefit from aging, so do not be concerned with vintage but instead enjoy it how the brewer intended the sake to taste and drink it fresh.